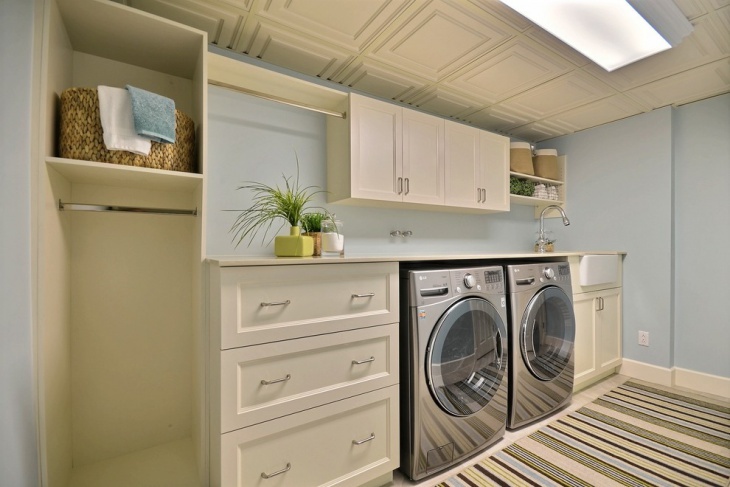 How often have you wondered if your laundry room could have been a more functional space? 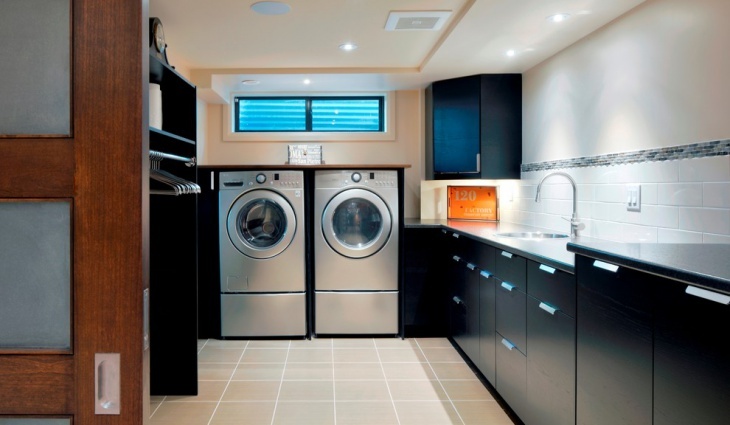 For most of us, it is the basement that acts as a laundry room. Taking the affair downstairs does provide a lot of advantages – protection from noise, keeping the hose break damages to lower limits and keeping out the humidity. However, it doesn’t make things difficult when we are talking about ease of access, maintenance and things like that. Well, today we have appliances that come with extra insulation to cut the noise. 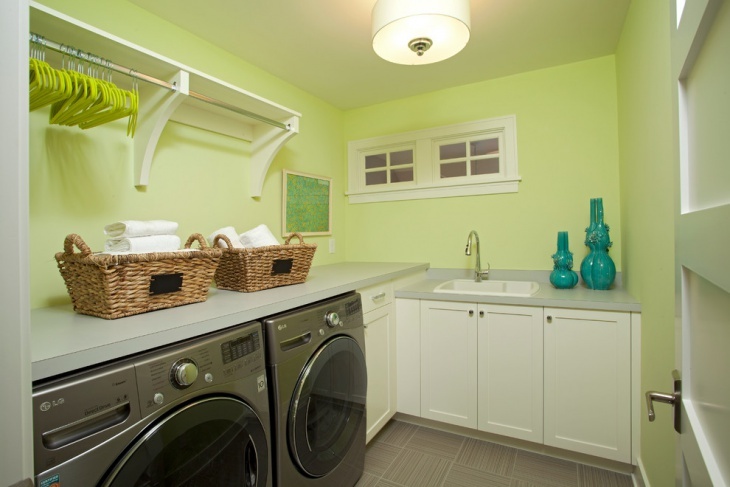 So why not take the laundry room upstairs? It could very well be alongside the master suite or your kid’s room. Check out these examples. 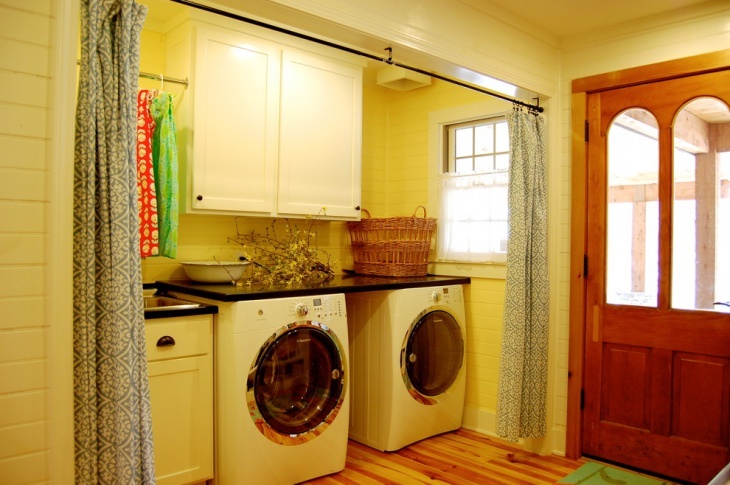 A utility room need not be dull and creepy. Depending on what utility means for your household, you can integrate the business with any other functional room of the house, including your kitchen. Make it a bright setting with adequate use of lighting. This makes things easier, safer and more well-defined. 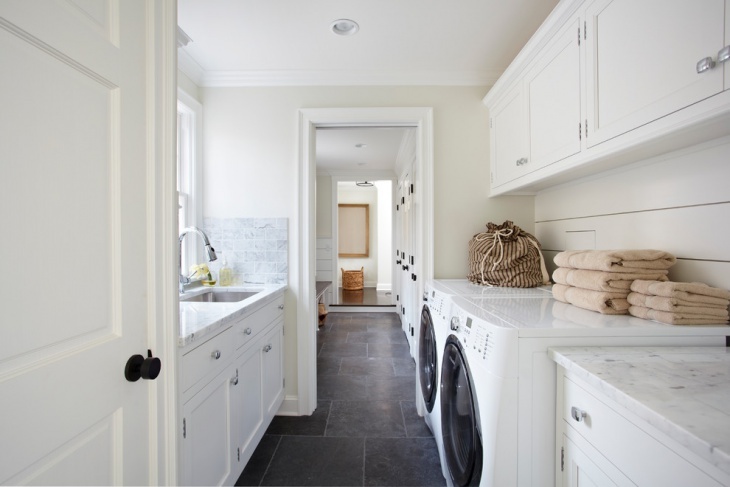 Depending on the overall décor and color scheme of your household, you can choose among a variety of materials for your laundry room sinks. 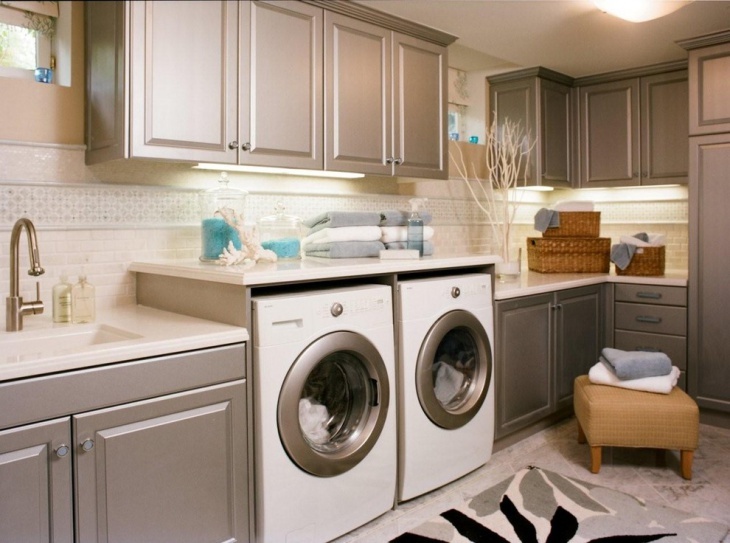 Both the laundry and the sink require you to space a small corner of the household and it may be anywhere. 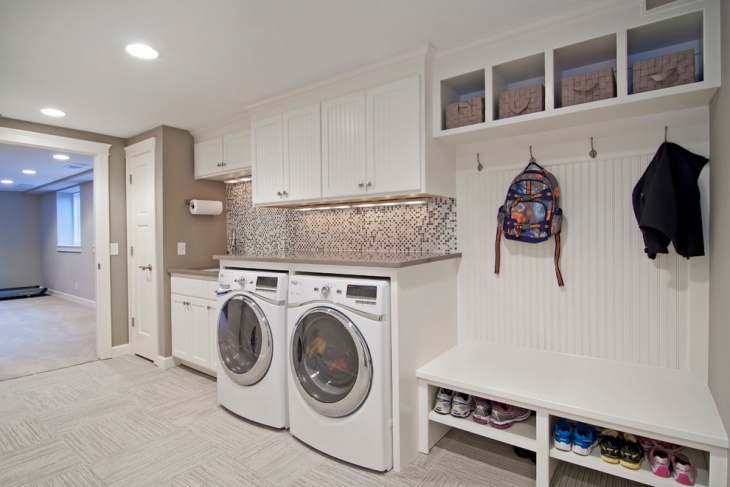 A utility room doesn’t need to necessarily smell of starch and look unorganized. 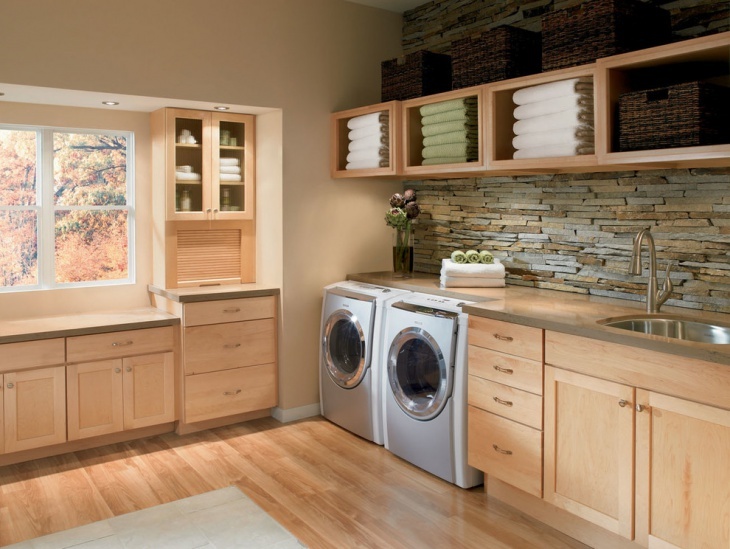 You can always have a lot of cabinetry integrated into the walls to keep your stuff – washed or unwashed. 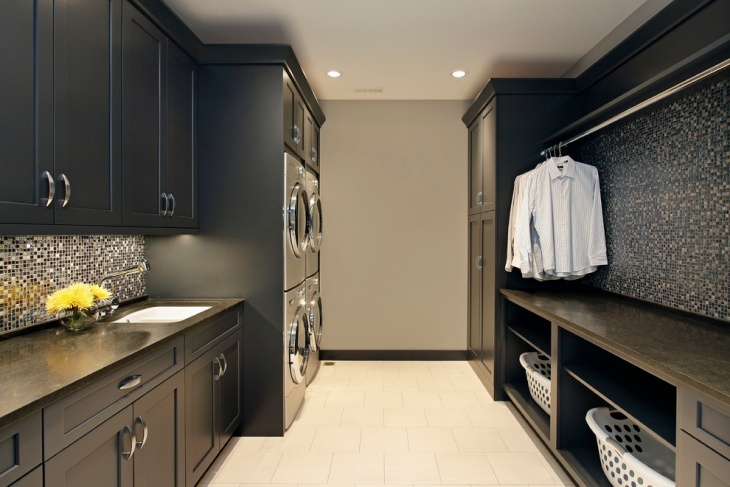 They could also provide the handy space where you keep your laundry utilities. 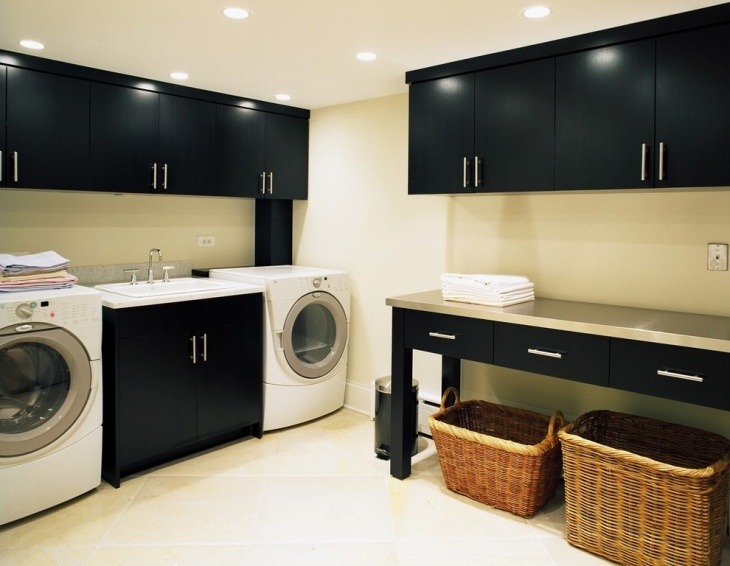 The flooring of a utility room needs to adhere to a lot of requirements. Apart from looking good and matching the rest of the décor, it needs to be built of materials that are safe, sturdy, easy to clean and durable. 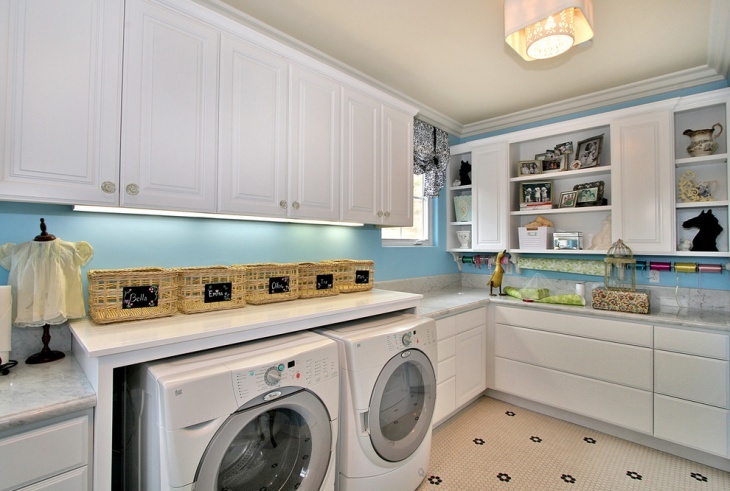 The more than amount the cabinets in your utility room, the easier the work was done. 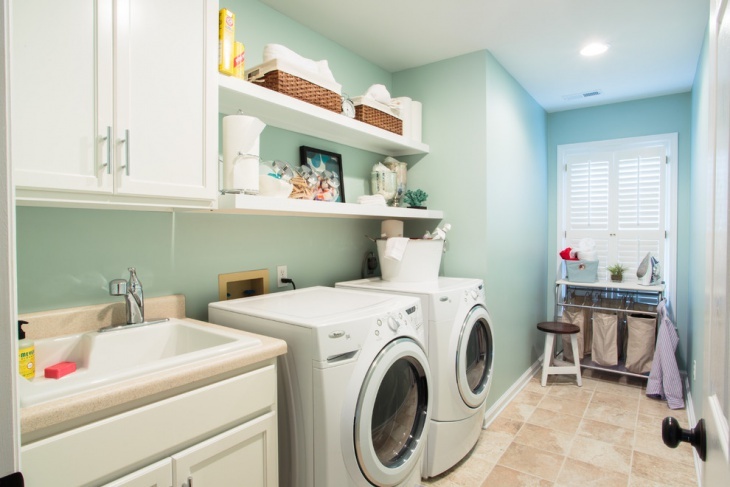 Over time, your utility room will always become a space that does more than washing your clothes or store tools. Having enough shelving meets the growing needs of a family. In case, you stick to the basement for your utility and storage, make sure it is well lit, properly maintained and minimally furnished. There should be a lot of space to move around and no surprising corners. 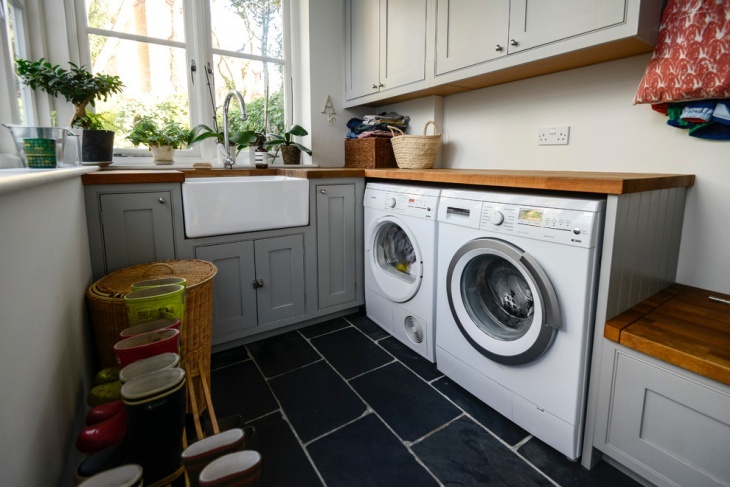 For homes with a space crunch, the utility room can be integrated anywhere in the household even in the verandah or the hall space. 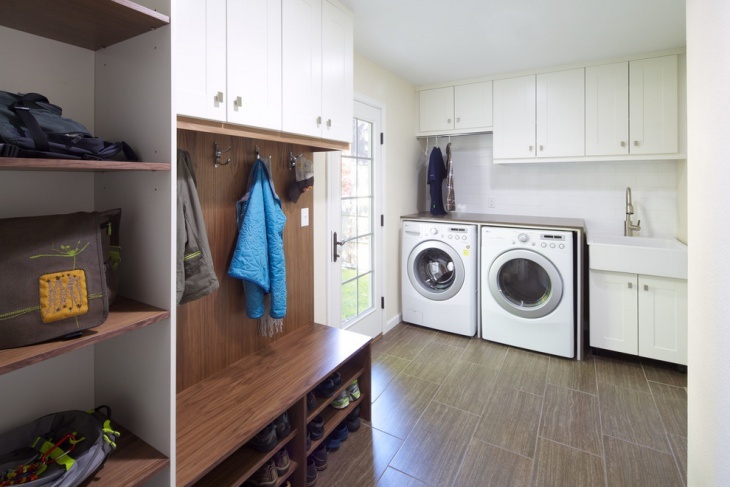 Along with your washers and dryers, you can also have your shoe racks and similar stuff. However, make sure that the space is properly maintained. 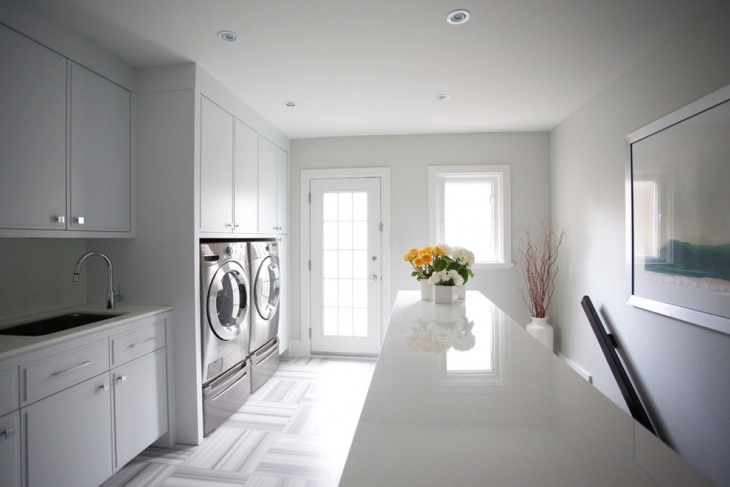 Cabinetry in a utility room can very well match the rest of the décor. The basic idea should be to keep it clean, in reach, and properly lit. Enough number of cabinets makes things more organized and you always know where you find your stuff. Curtains can perfectly act as a separating barricade between the utility space and the rest of the household. 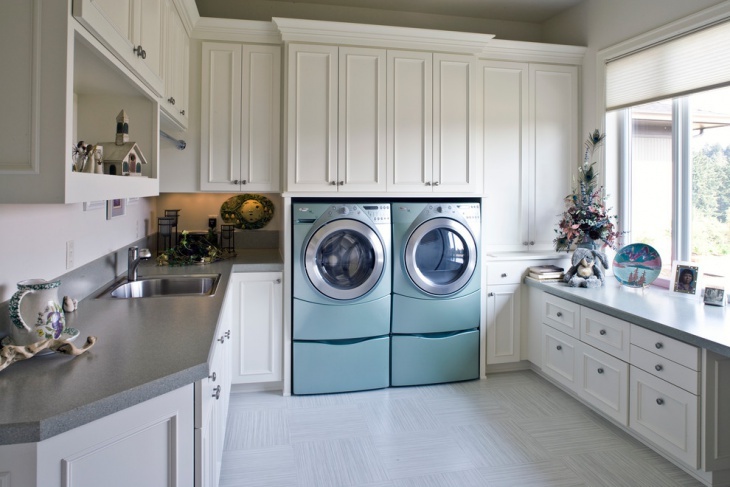 After all, no one wants their washers, dryers, and mops to be a part of the home décor. Just put over a curtain as shown in the example. 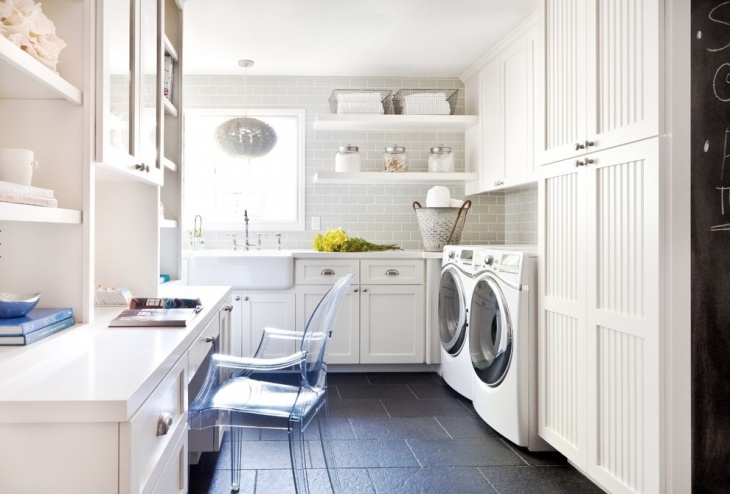 White is the ideal choice for a utility room. It brightens up the space and makes it look bigger. It would also be more encouraging to maintain the sanctity of a bright white space than a dull one. 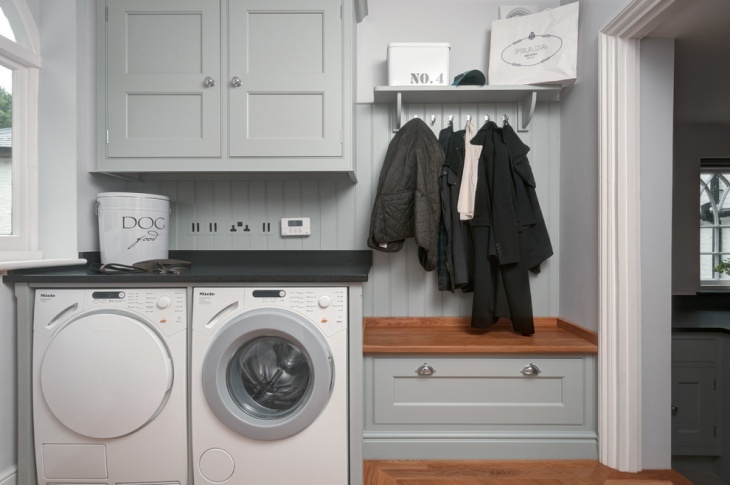 Like our utility room idea? Well, it should be a room that is always a highly functional part of the household but isn’t too visually appreciative. Use these ideas to make things more convenient.